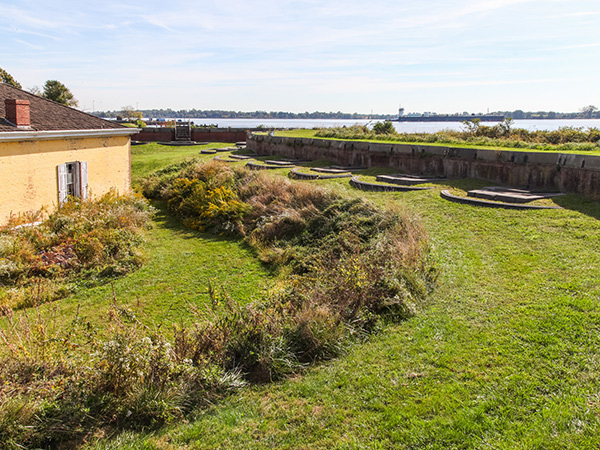 Located on the Delaware River south of Philadelphia, the first fort on this 84-acre site was built in 1772 and designed by engineer John Montresor. 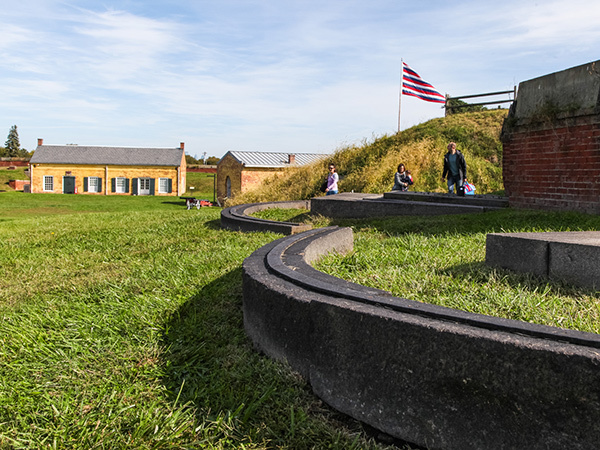 Situated on Mud Island, a marshy expanse just a short distance from shore, the fort comprised triangular-shaped stone ramparts directed towards the river, as well as stockades, structures, and defensive ditches. 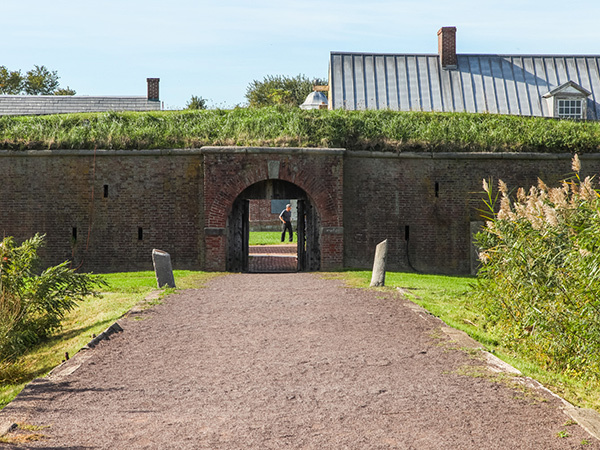 Held by colonists during the Revolutionary War, the fort was heavily damaged by British troops. 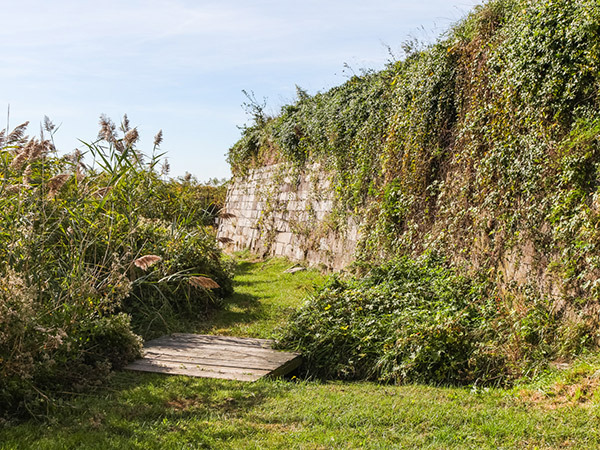 Following the war, General Louis du Portail developed a plan to reconstruct the fort. In 1793, Pierre L’Enfant developed du Portail’s plans, and work was completed five years later under the supervision of Louis Tousard. 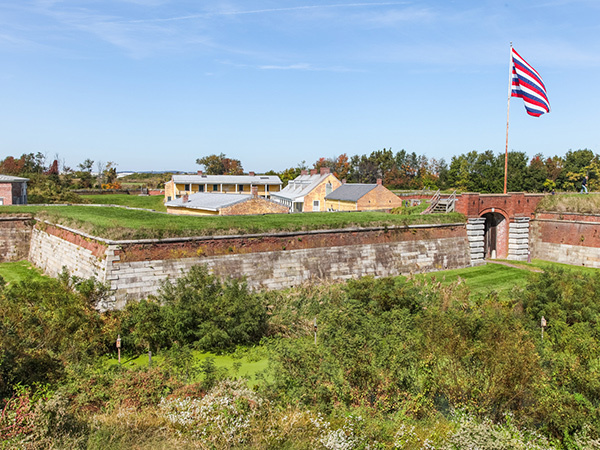 During the nineteenth century, several building campaigns upgraded the facility, while during the Civil War, the fort housed Confederate prisoners. 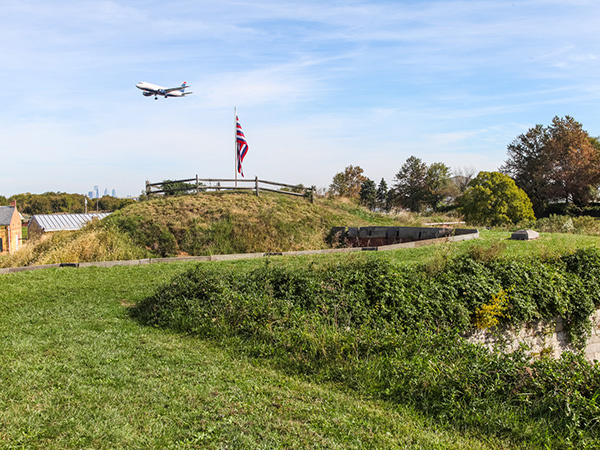 In 1915, the War Department declared Fort Mifflin a National Historic Monument. The site was used by the Navy as an ammunition depot during the first half of the twentieth century, and with the expansion of the adjacent Philadelphia National Airport in the 1930s, the island was connected to the mainland. 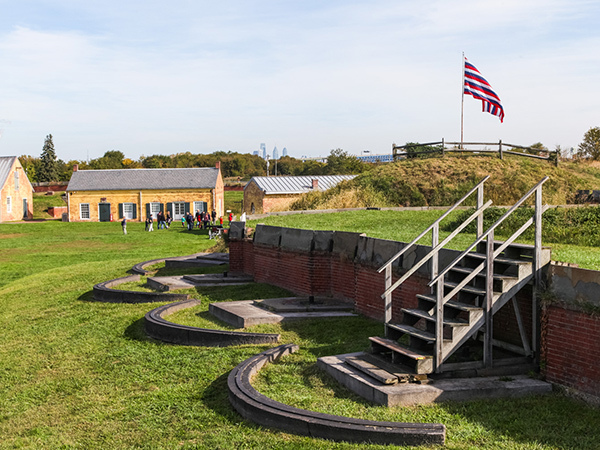 The fort was decommissioned in 1954, transferred to the City of Philadelphia in 1962, and opened to the public in 1969. Restoration work from the 1960s through the 1990s—led variously by Dickey, Weisman, Chandler, and Holt (1971), John Milner & Associates (1988) , and CLR Design (1995) —has stabilized the historic site. 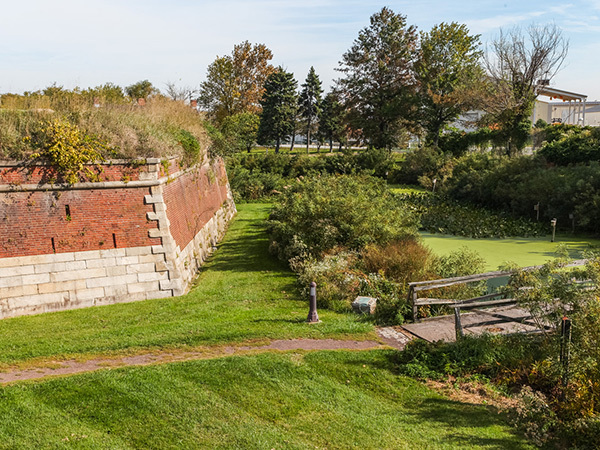 Today, a moat surrounds the entirety of the fort, which comprises earthworks, stone and brick walls, parade grounds, cannon pivots, and several structures. 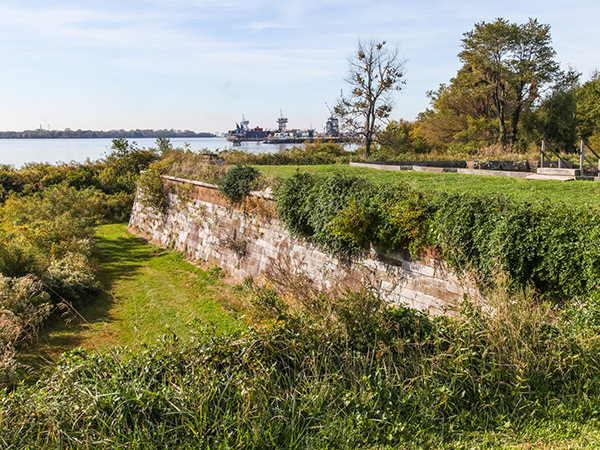 In 1970, Fort Mifflin was listed in the National Register of Historic Places and designated a National Historic Landmark.